These presentation slides 45748 are complete compatible with Google Slides. Simple download PPTX and open the template in Google Slides. 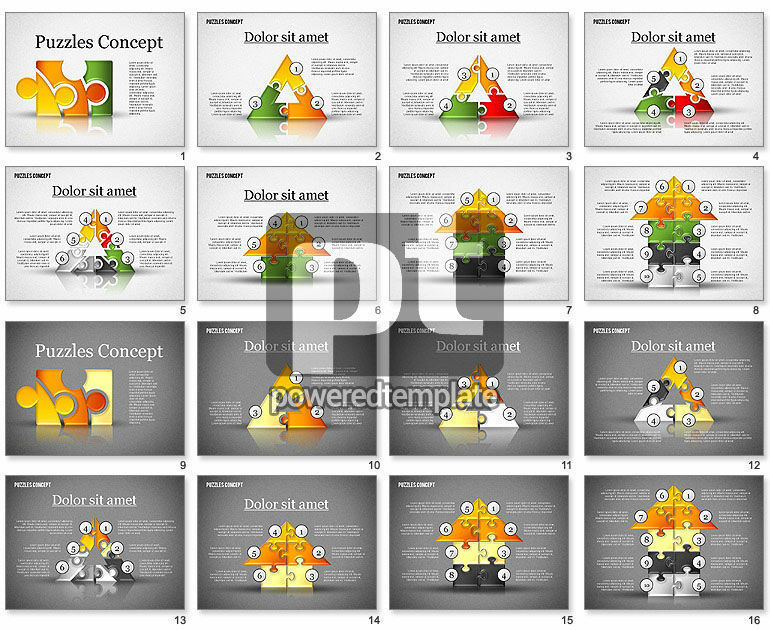 This glamorous jigsaw puzzle template will suit perfectly for your presentations dedicated to sequences, connections, interactions, dependencies, links and so on. There are various figures built with puzzles in different amounts and situated on two kinds of the backgrounds. The topic of this theme is multifunctional, so you can use it in any spheres of business, media, network or education.